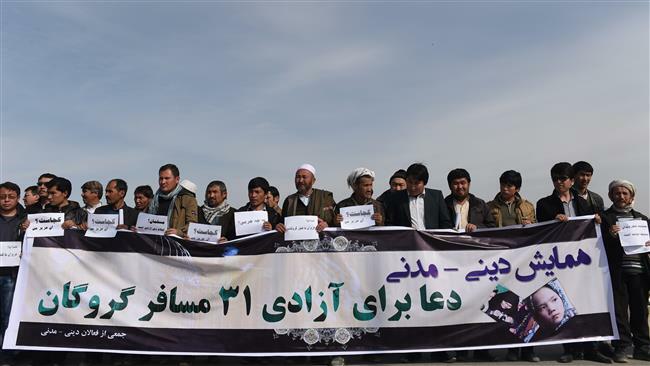 JNN 07 Apr 2015 Kabul : Afghan authorities have recovered in the southern province of Zabul the bodies of two Shia Muslims, whom Taliban Terrorists had abducted along with more than two dozen others in late February. He added that the two terrorists have simply “changed their white flag” of the Taliban Terrorists group for the black ISIL flag. 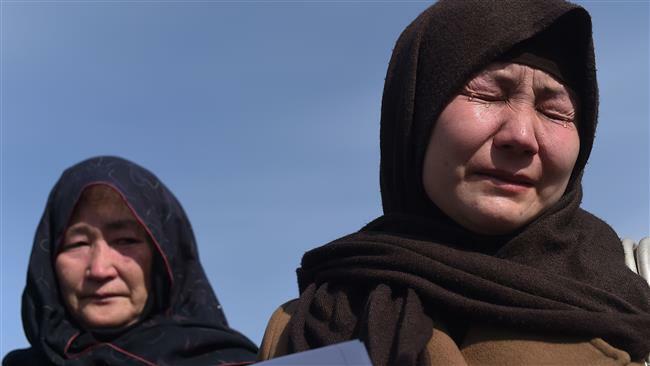 The Hazara community, which accounts for as much as 25 percent of Afghanistan’s population, is often targeted by Terrorists in the country and neighboring Pakistan. This entry was posted in Asia Pacific and tagged Afghan Shia, afghanistan, Ata Mohammad Haqbin, hazara, IS terrorists, ISIL, ISIS, Mullah Abdullah Kaka, Mullah Mansur Dadullah, Shia Muslims, Taliban Terrorists. Bookmark the permalink. Tod Fur Wahabiten sklave !